Hola Nola Foods, a snack food firm based in Los Angeles, CA, USA, has announced the acquisition of NatureStar Foods, the manufacturers of the Plocky’s crisp line. 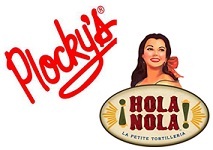 In a statement, Hola Nola Foods, which currently manufactures tortillas, tortilla chips, salsas and popcorn, said it was looking to expand its snacks portfolio with Plocky’s hummus and tortilla chips. Kevin Holden, president of Hola Nola Foods said: “Plocky’s award winning Hummus Chips and Tortilla Chips, geographic footprint and customer relationships are a great fit and we look forward to continuing to expand this unique healthy snack brand”. Paul Cipolla, president of NatureStar Foods, added: “After 30 years building the Plocky’s snack brand, I began looking for a company that could not only continue the brand but expand it beyond the Midwest. I feel Hola Nola Foods is the ideal organization to fulfill that goal”. NatureStar Foods’ Chicagoland distribution centre will maintain operations to supply the US Midwest, whilst Paul Cipolla will remain as a consultant and to manage long term customer relationships.